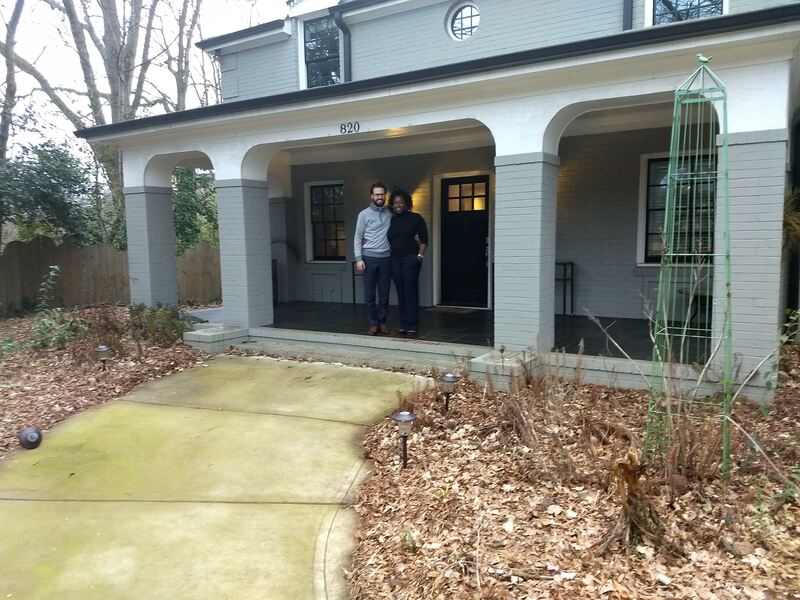 James Cass and Vida Harvey are newcomers to the Historic West End neighborhood of Wesley Heights. They moved to the neighborhood in September of 2018. What pulled the couple to Wesley Heights was the character of the house, the neighborhood, and the neighbors. Cass learned how important the preservation of the neighborhood’s architectural character was to his future neighbors when he researched a rezoning petition happening in Wesley Heights. “Maybe a year ago there was a rezoning petition where people wanted to rezone some single-family homes into multi-family homes. Essentially, they wanted to tear down a couple of houses and put up some townhomes two blocks over.” Cass went online to look at the rezoning hearing to see how the neighborhood reacted to the petition. He found that over 150 people from the neighborhood attended this hearing stating they did not want the rezoning to happen because it was not in keeping with the character of the neighborhood. “Seeing that persuaded me. It showed me that there is a lot of neighborhood cohesion in keeping the neighborhood with the same character that it has had for years. And, I like that a lot,” explained Cass. Neighbors coming together out of concern for the neighborhood was another character trait about Wesley Heights that Cass and Harvey appreciated. Since moving in they have been attending neighborhood association meetings to get connected to their neighbors, both long-term residents and newcomers. “We have been going to the neighborhood association meetings, and you get good turnout there. The range of people and the amount of people who regularly attend the monthly meetings here speaks to the passion people have,” said Cass. “They are going out of their way to spend an hour and a half on a Tuesday night to hear about what is going on in the neighborhood, upcoming events, rezoning petitions, and stuff like that. It’s really just a level of caring that comes through.” This level of caring really impressed Harvey. “People are invested in the neighborhoods throughout all the west side communities. I am impressed with how concentrated they are on the success of the neighborhood and the businesses in the neighborhood. That sense of community is not something you always see,” said Harvey. Cass and Harvey are being welcomed into the Wesley Heights community as they settle into their home. The start of their journey brought them to a unique house filled with character. That house was nestled in a charming neighborhood. That neighborhood is filled with neighbors who care about their community and preserving its character. Cass and Harvey are now a part of the Wesley Heights community and are proud to call it home.